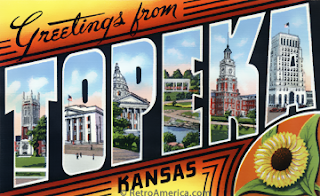 Welcome to the first Watch This Space published from Topeka, Kansas. I'm not thinking that anything will change but I hope to focus more on my writing as I have several things I started while I was on break due to the move. I also want to continue writing my novel and get that finished before my next birthday. Over the next few weeks will be new issues of Incredible Comics, Randy, #ElevenSeasons and, hopefully, a new series that I'm keeping to myself just in case it doesn't pan out this month. As far as the near future is concerned, the only difference in Tauy Creek is the city where it is produced. Now, onto Born Loser commentary!! When I'm at a diner, I don't expect the burger to be cooked to my expectations. I expect it to be cooked and covered with grease. Why did she even ask? So basically, Brutus wants his burger medium well? Just say that. Stop with the "just a little pink" crap.